Professional Scrum Foundations (PSF) is a 2-day course that prepares students to begin effectively using Scrum immediately by building software in a series of Sprints. The framework, mechanics, and roles of Scrum are emphasized with importance placed on practical application, and common missteps and misunderstandings are discussed so students have a higher awareness of the associated symptoms. Whether your team needs a flawless Scrum launch or needs to reboot a struggling Scrum implementation, this course lays the foundation for an effective Scrum team. Professional Scrum Foundations also provides the foundations of knowledge needed for role-focused training such as Professional Scrum Product Owner and Professional Scrum Master. Professional Scrum Foundations is appropriate for anyone working on or with a Scrum Team. The course is especially well-suited to companies or teams investigating Scrum, those who are currently struggling with Scrum, or those beginning to utilize Scrum. 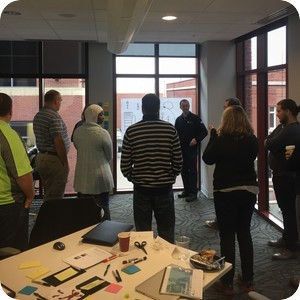 Upon course completion, attendees have the opportunity to take an online assessment of their skills and earn their Professional Scrum Master I (PSM I) certification. In class, you will learn the importance of inspection, adaptation, and fast feedback cycles. To reinforce those concepts, if you attend this Scrum.org class and attempt the PSM I certification assessment within 14 days but do not achieve a score of at least 85% you will be given a 2nd attempt at no cost. 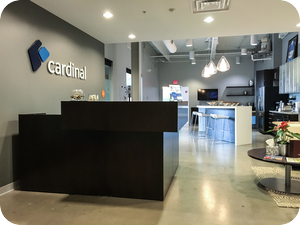 Additionally, Cardinal Solutions is officially recognized as a member of the Scrum.org Professional Training Network. This means we align with the Scrum Values, have Scrum.org trainers who teach a qualifying number of Scrum.org Professional Scrum classes, and are committed to improving the profession of software delivery in part by providing Scrum.org training. "A well-defined class with relatable material that I can implement in the real world." "This class is ideal in that it does not focus on handouts, but puts you in real work situations. It makes Scrum real." "The exercises were extremely well-run and demonstrated the concepts." "We asked so many questions [the instructor] was great at answering everything in the most relevant way possible." "I thought the training was very informative…and I'm excited to bring what I've learned back to my company."